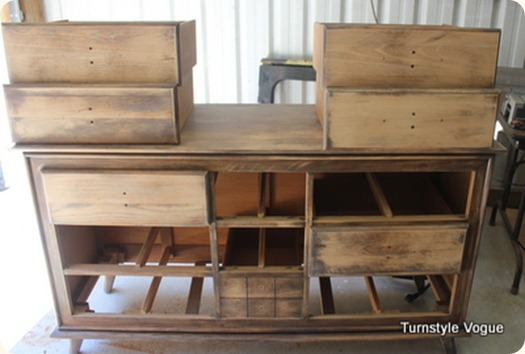 Old dressers can be had for very little money on Craiglist, from garage sales, and from thrift stores. 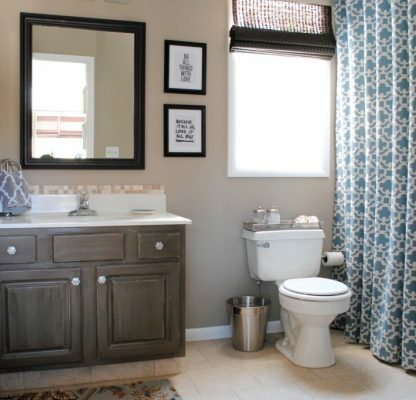 The only things you need to add are vision, creativity, and elbow grease. Those are things that Shari at Turnstyle Vogue has in spades. 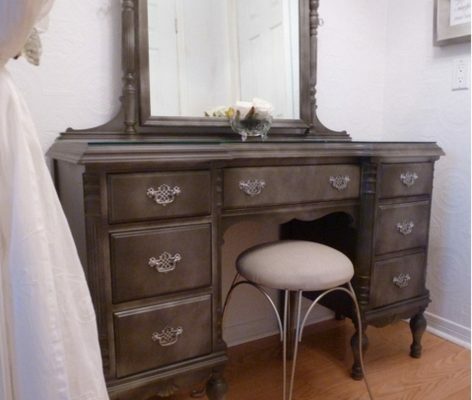 Check out this beautiful dresser that she updates with paint on the body, stain on the top, and new hardware. 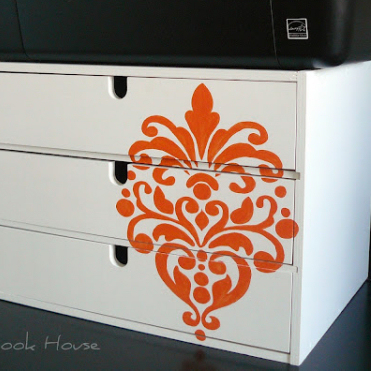 She even lined the drawers with fabric (you’ll have to visit her blog to see that detail). Quite a drastic before and after, isn’t it? 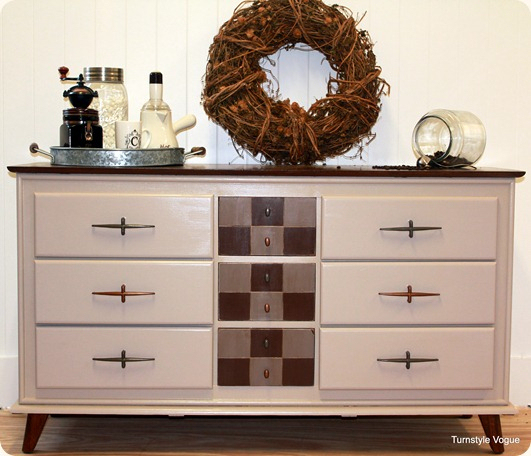 To see more of this dresser makeover, visit Turnstyle Vogue. I’m extremely impressed with your writing skills as well as with the layout on your weblog. Is this a paid theme or did you modify it yourself? Either way keep up the excellent quality writing, it’s rare to see a great blog like this one nowadays..